Eighteenth-century Britain saw a profound distancing between the culture of the patricians and the plebs. 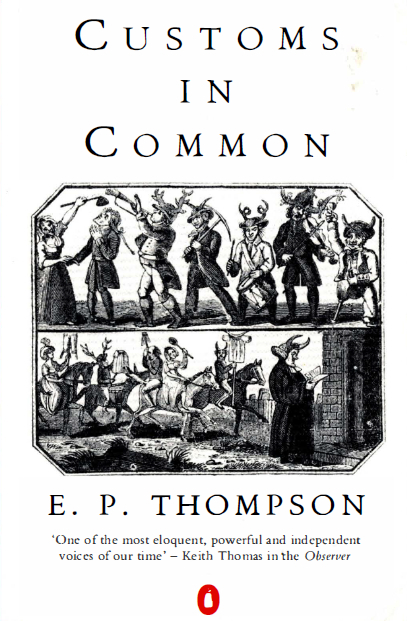 E. P. Thompson explains why in this series of brilliant essays on the customs of the working people, which, he argues, emerged as a culture of resistance towards an innovative market economy. He discusses 'wife sales' as a form of unofficial divorce, the 'rough music' or ritual mockery directed at transgressors, the ways a rebellious traditional culture fought back against the enclosure movement, 'free markets' in grain and the work-discipline of early industrial capitalism. The result is a vividly original book, a superb companion volume to E. P. Thompson's monumental The making of the English working class. As someone pointed out on Facebook, this book is incomplete, ending at page 375. Anyone got the end?